4x4 inch watercolor I did the other night, used some iridescent paint that didn't scan unfortunately. 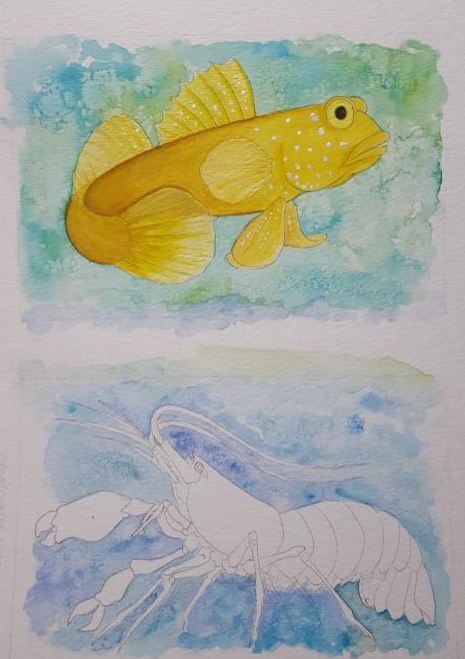 I'm considering doing a series of these to fund my aquarium addiction and would love feedback from the reef community on what you'd like to see. Awesome detail! I vote designer clownfish. Peacock Mantis, Catalina Goby, Seahorses, Pinnatus Batfish, Clown with anemone. current project! I have a frame that is matted for two 4x6 photos, so this is the pair that will be going in it. Designer clowns are definitely on the To-Do list, as is the requisite mandarin. I hadn't thought about triggers or angels, I'll have to look into that - seahorses, too! 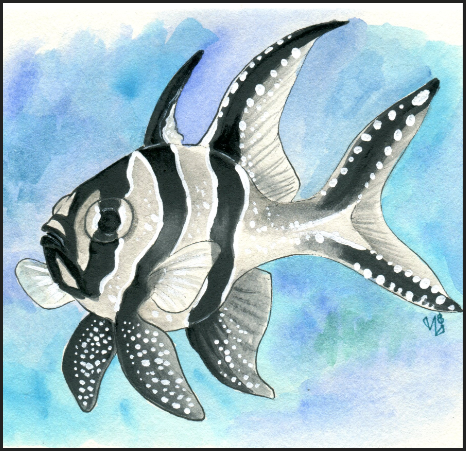 Pinnatus Batfish are awesome, but large amounts of black are hard to do in watercolor... I could try it anyway, but I dunno how well it would turn out.